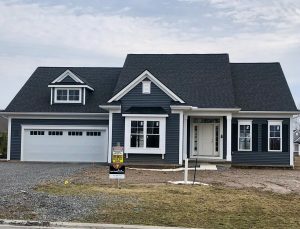 Wake up to singing birds and leafy shade in the Preserve at Coventry Ridge, where you and your family can enjoy elegant, spacious living among the rolling hills of Pittsford. 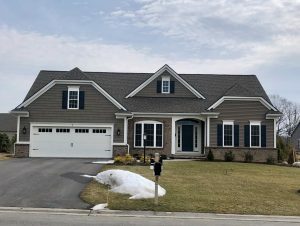 Encircled by mature woodlands, open farmland and the enchanting Isaac Gordon Nature Park, the Preserve is just minutes from nationally recognized schools, upscale shopping, a vibrant medical community and so much more. 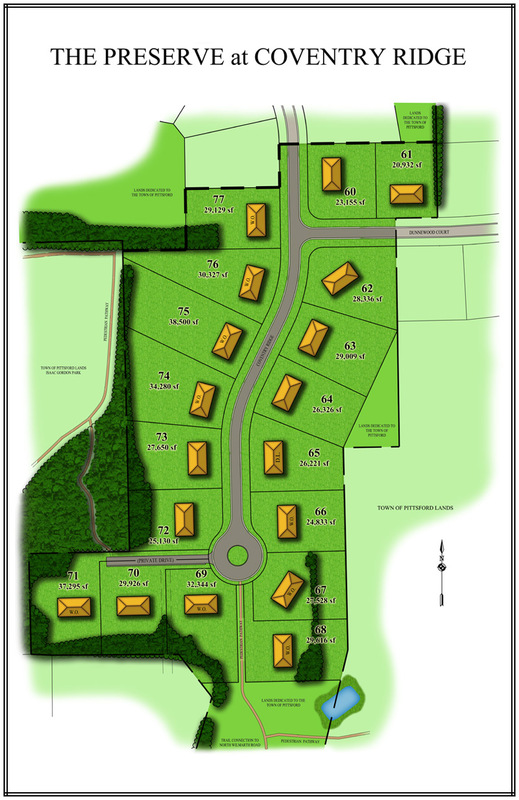 Now building in 2 single family sections, as well as patio homes at Rockdale Meadows. Click on Patio Homes or Rockdale Meadows for more information on our patio homes. Go south on Clover Street. 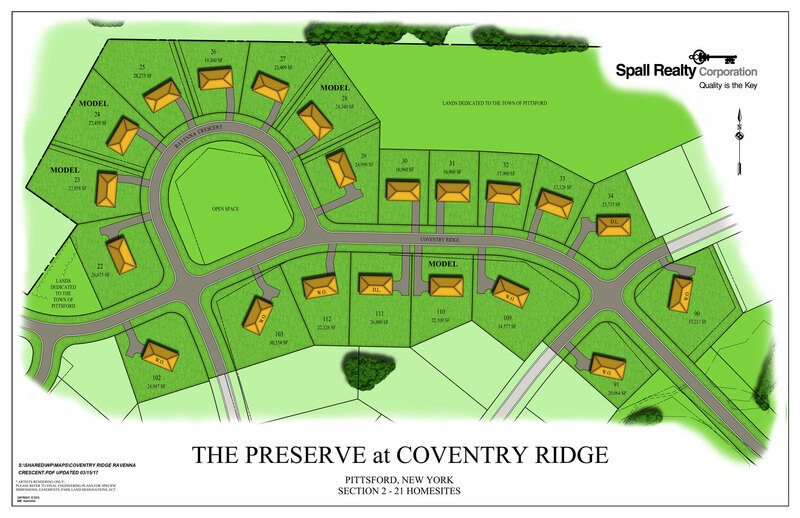 Coventry Ridge is approximately 1.2 miles south of Calkins Road on east side of Clover, across from Woodgreen Drive. Or use 3388 Clover Street for approximate location in GPS and mapping apps. OR, at the intersection of Mendon Center Road and Barker Road, go south on Mendon Center Rd. Turn right on Turning Leaf Drive. At first stop sign go straight. Take first right after stop sign on Dunnewood Court. 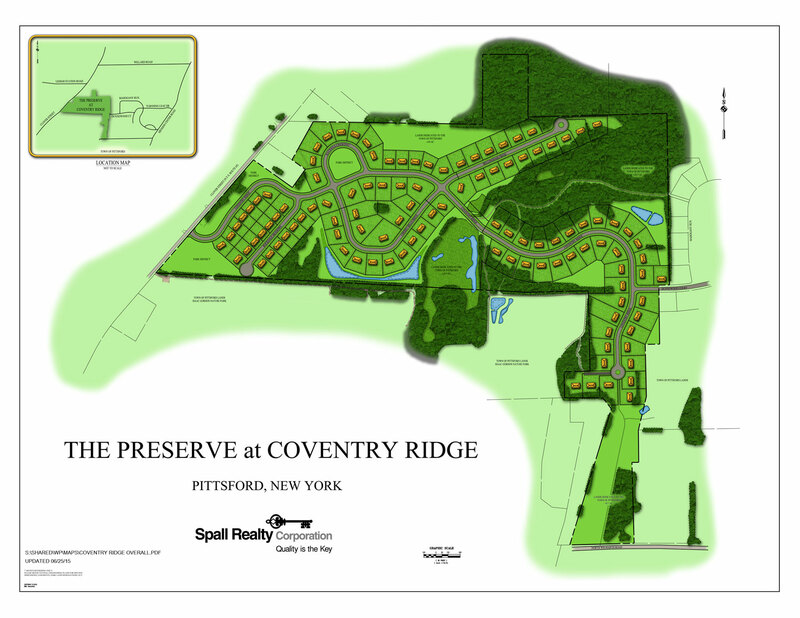 Go to top of the hill and you will enter the Preserve at Coventry Ridge.